If there’s one thing Mark Schofield loves more than Newcastle United, it is proper design and execution, like on Nebraska’s big score. The past 10 months or so have not been kind to Nebraska fans. Last season began with promise, and then, like so many recent years, it came crashing down. Bo Pelini was fired at the end of the 2014 season, replaced by former Oregon State head coach Mike Riley. Surely things would improve. Then the 2015 season started. The Huskers lost their season-opener in dramatic fashion, on a Hail Mary against BYU. They lost their third game of the season in overtime against Miami. They lost to Illinois when they couldn’t quite solve the difficult equation of “We have the football and the lead with a minute left + the other team has no time outs + X = Victory.” Running the football is “X” in this equation. Nebraska thought passing the football was “X”. PASSING THE FOOTBALL IS NOT X IN THAT EQUATION. Then last week, they lost their fourth game of the season when Wisconsin kicked a 46-yard field goal with seconds left. Four losses, all on their opponent’s final play. Maybe bring back the angry coach with a penchant for entering spring games carrying a cat? No, replacing Riley is not the answer. But better offensive design and execution might be. 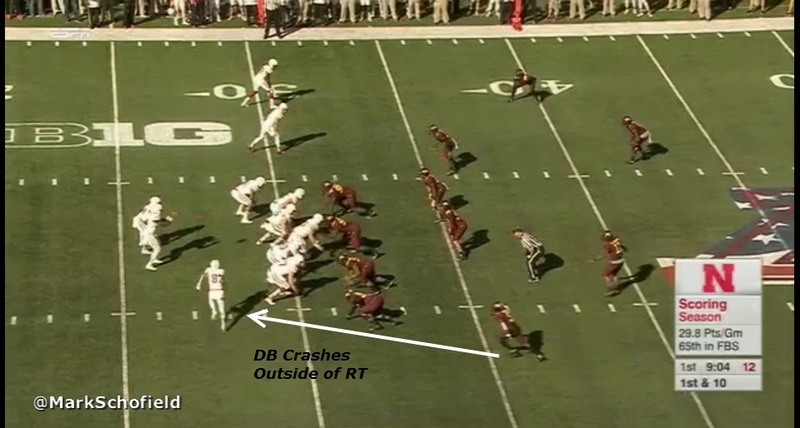 The Huskers got some of that in their rebound victory over Minnesota Saturday. With 9:06 remaining in the first quarter, Nebraska has the football on their own 31-yard line in a scoreless game. Quarterback Tommy Armstrong is in the shotgun with 11 offensive personnel in the game, using trips formation to the left. 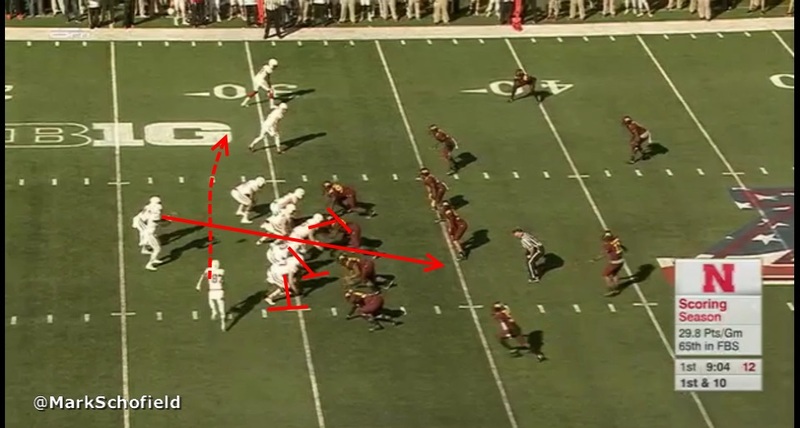 The Golden Gophers have a 4-2-5 sub package on the field, showing Cover 4 in the secondary. Notice that both linebackers are shaded to the trips side of the field, while defensive back Antonio Johnson (#11) has slid down into box, almost as a third linebacker. 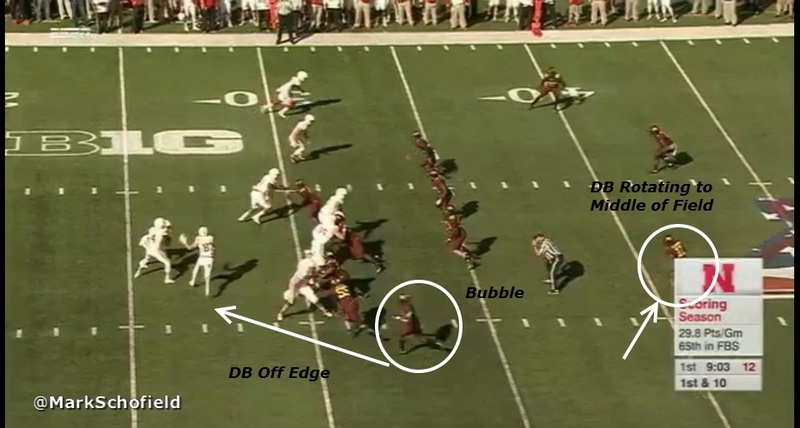 Myrick, after trailing the WR jet motion, attacks the offensive backfield off the edge. Johnson vacates his initial position, and has slid deeper into the secondary, closer to the middle of the field. 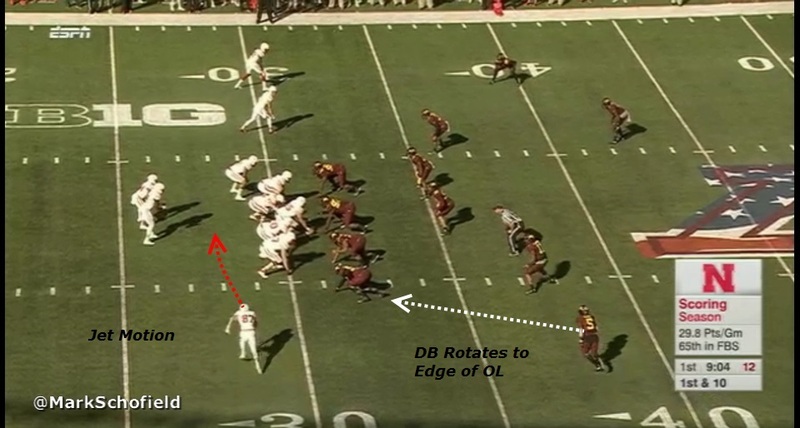 This creates a natural bubble on the right side of the offense. Guess how that plays out for the defense? Newby takes the football and is not touched until the celebration kicks off in the end zone. Putting the pieces together gives Nebraska an early lead. 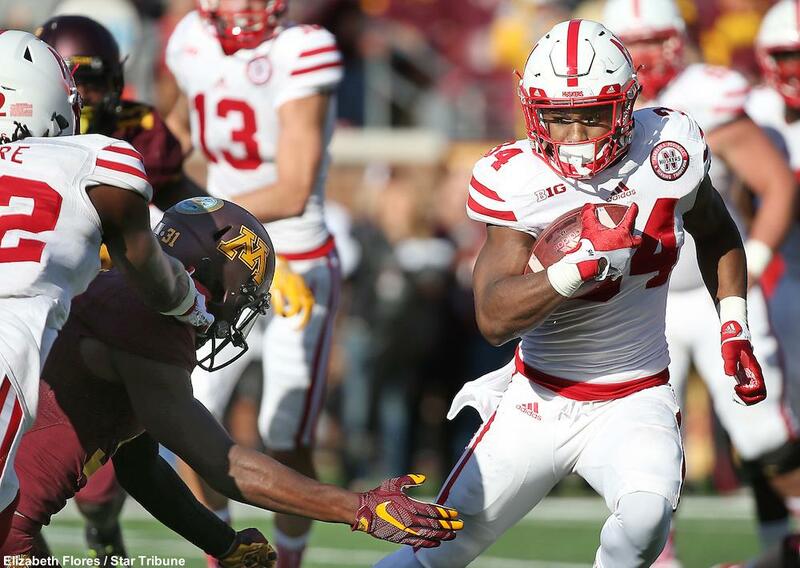 The Huskers actually held on this time, for a 48-25 victory. Allowing their fans, like the author, a week to enjoy for a change.